Michelle Morin is an amazing artist that I came across through a very good pal of mine who knew I’d truly appreciate the beauty of her nature themed work. Michelle lives and works on the coast of New Hampshire. A really interesting fact about Michelle is that she worked for many years in the horticultural field, which means she’s spent A LOT of time around plants and flowers of all kinds. You can tell from her work that she has formed a very close relationship with nature. 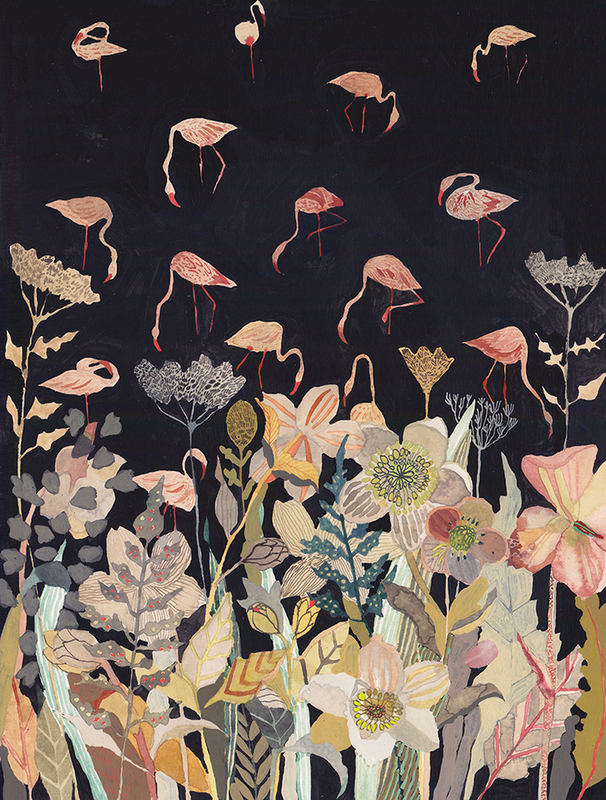 Her compositions are so lovely, her work is COVERED in life. 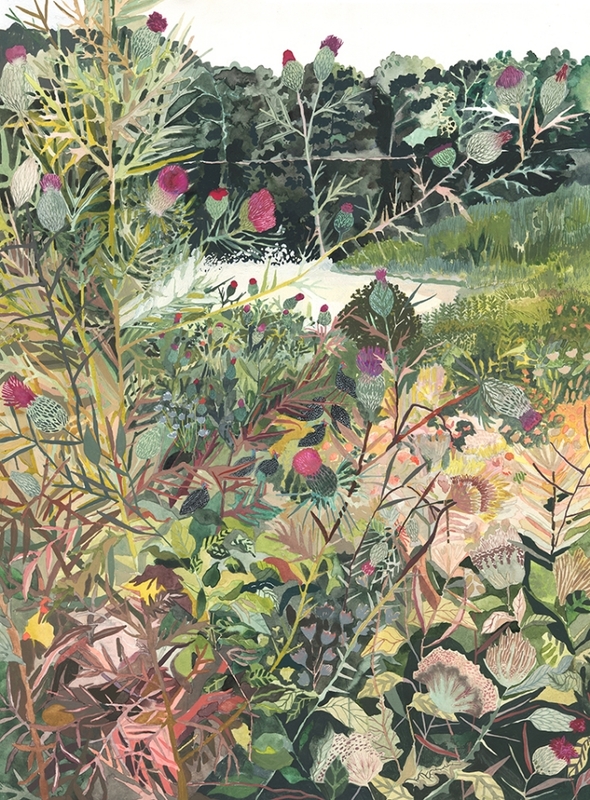 She uses watercolour and gauche and creates beautiful patterns of greenery and florals. 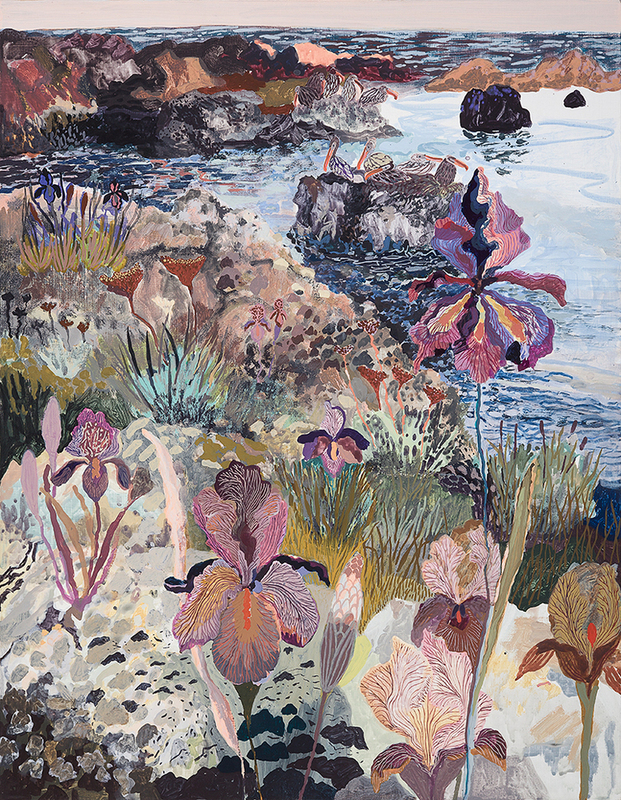 Her landscape works are inspired by the coast, and are so vibrant and full of energy. 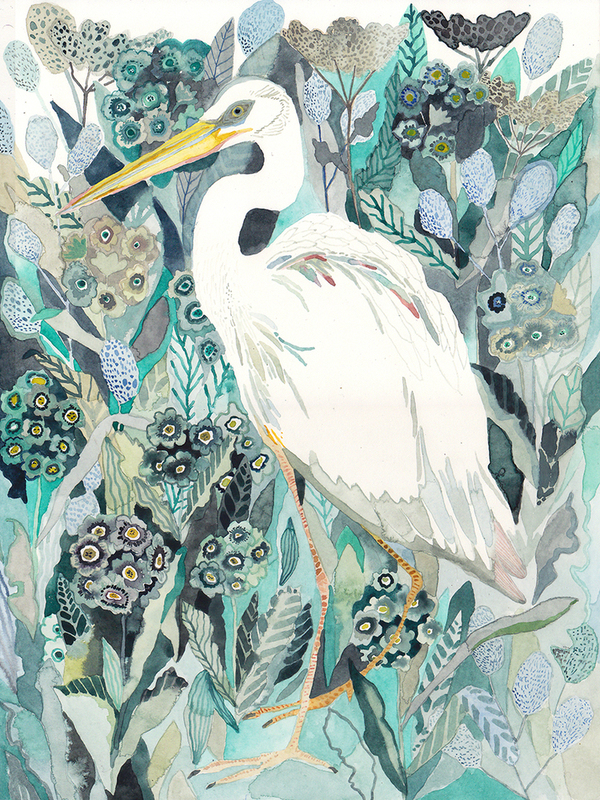 Her colour pallets and line work demonstrate a real understanding of the natural world. The image above seriously takes my breath away. The way she has painted the irises is just stunning. Her work is complex, and and full of texture. I could spend a lot of time looking at all of the little details. Please, do your eyes a favour and visit Michelle’s amazing website. She also has a shop on ETSY if you are interested in buying any of her stunning work! I am so, so inspired. Thanks Michelle! I’d love a sketch book with that top print as the front cover. I admire Michelle’s use of watercolor and gouache. Watercolors are not my strong suit but I love gouache for its versatility. The paintings are beautiful and so full of life. It is very evident that she has a true appreciation for the aesthetics of nature and creation itself. Very beautiful paintings.